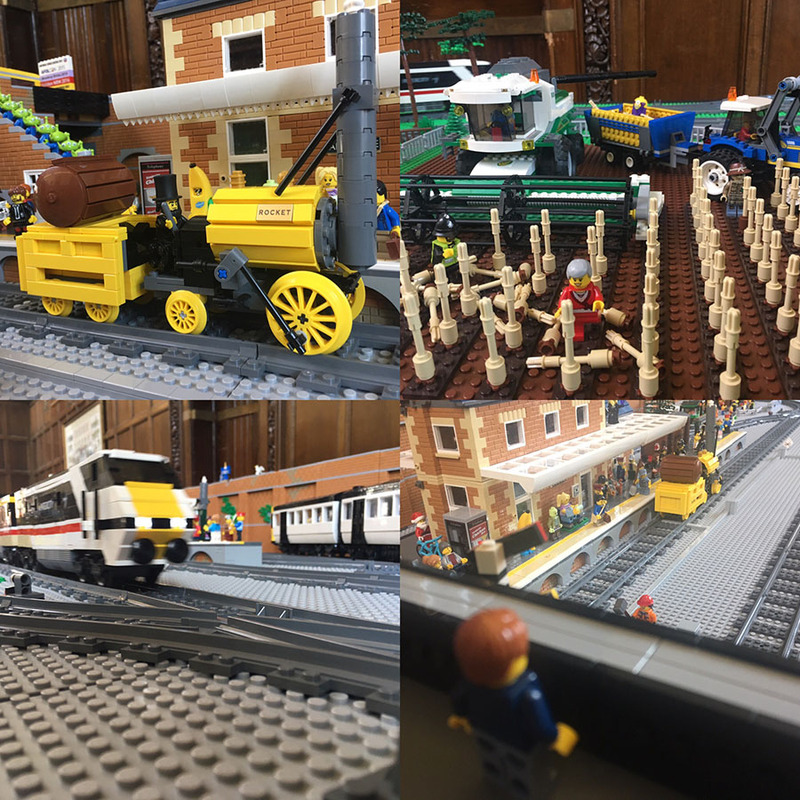 It’s not too often that I turn up to a LEGO show, and someone bounds across the exhibit hall and says, “Would you like to run my LEGO Intercity 225?”, but that’s exactly what happened at the brilliant Hull Block Con last weekend, followed by the creation of LNUR – “LEGO Northern UK Railway”. I hadn’t met James in person before the Hull show, but we had talked online in various Facebook groups for AFOLs, and he’d packed his brilliant 225 model on the off-chance I’d run it. What span out of discussions after the weekend was that there seemed to be a gap for an interest group in Northern England and Scotland to help aid collaboration between LEGO builders interested in building and displaying LEGO trains and railways. After a little discussion about names, we settled on LNUR – LEGO Northern UK Railway – a little bit clunky, but we thought it’d be a nice homage to LNER, the London North Eastern Railway, and the logo lent itself to that nicely. LNUR isn’t there to replace the more established LEGO User Groups such as Sheffield LUG, Brick Alley, Northern Brickworks and Tartun LUG: it’s there to help members of those LUGs (and AFOLs who aren’t in a LUG too) come together, collaborate, and create some fantastic LEGO displays. We’re also working on agreeing some building standards, much like our LEGO Train Club counterparts in Northern America, to help us collaborative more easily. LNUR’s first show was a retrospective Hull Block Con, and 4 of the group (and counting!) are now planning a collaborative LEGO railway display for Brick Alley’s upcoming Shildon LEGO Show on 11 – 12th November 2017. This will feature my Ambridge Railway Station and Newcastle Central Station in LEGO, alongside a lot of new scenery, and a large range of locomotives and rolling stock including James’ Intercity 225, Jack’s Intercity 125, and Jamie’s APT (which is actually on display in Shildon LEGO Show’s venue, the National Railway Museum Shildon (Locomotion). Pretty cool, huh? There’s a little more information on LNUR’s aims for the future on the website at lnurailway.co.uk, and we’ll be posting updates as we have them on LNUR’s Facebook page and LNUR’s Twitter account. If you’re interested in joining as a member and agree with the aims of the group, just drop me an email and I’ll add you to the members’ Facebook group, and you can start collaborating!